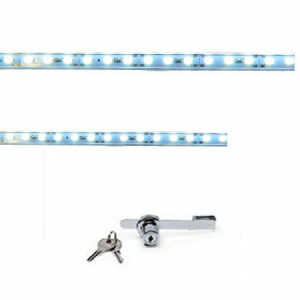 LED Light Kits - For display cases. Available in 4' for 48" Full Vision Case or 6' for 70" Full Vision Case or Jewelry Case. Ratchet Lock w/Keys - Secures sliding doors on display cases.